Blogger Adam Christian crunches the numbers and finds that 73.6 percent is the magic number needed for Measure J to overcome its current 1.95-percentage-point deficit after Tuesday's election. About 792,000 ballots remain to be counted. We've done a similar analysis at Metro and came to a similar conclusion. Somewhat of a mixed bag. Items in smaller cities tended to do well, but measures in populous in L.A. County and Alameda County both lost with similar results, getting about 65 percent of the vote when 66.7 percent was needed. Ouchy. A one cent per gallon gas tax hike in Memphis to help pay for local transit went down in flames, mustering 38 percent support. To repeat: that was one cent per gallon. Triple ouchies! Nice post on the transit program serving 30,000 workers at a sprawling office park outside San Francisco built on former farm land. The answer to the headline's question: be obsessive about putting transit near jobs and selling some of transit's other attributes. A gas station without gas earlier this month in the Bronix. Photo by bee721 via Flickr creative commons. 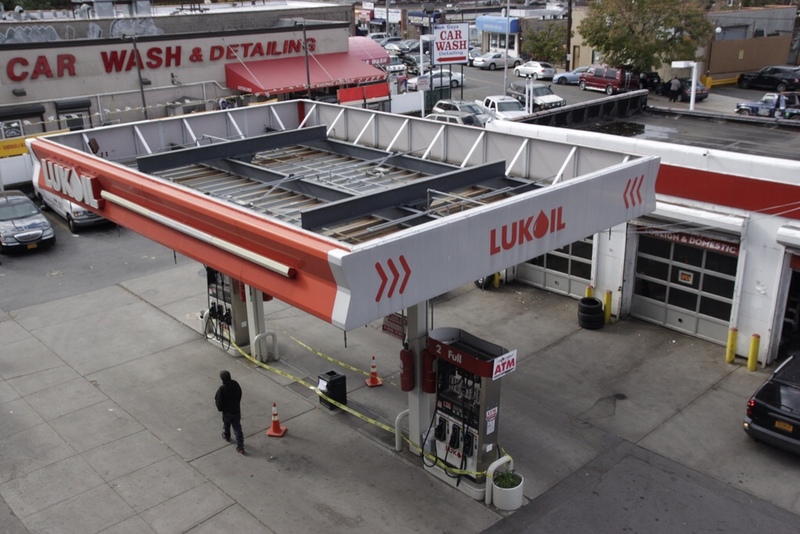 About 25 percent of gas stations in the New York metro area actually have gasoline to sell. As a result, Mayor Bloomberg announced a rationing system based on license plate numbers that will allow motorists to buy gas every other day. It's the first time that gas has been rationed in the area since the energy crisis of the early 1970s. To the subway’s chief maintenance officer, the storm’s encroaching waters were even more obvious. He was forced to flee with his flashlight from the South Ferry station in Lower Manhattan as the waters charged over the platform and up the terminal stairs, chasing him like an attack dog. It has been less than two weeks since the most devastating storm in the New York City subway system’s 108-year history. Seven tunnels beneath the East River flooded. Entire platforms were submerged. Underground equipment, some of it decades old, was destroyed. The damage was the worst that the system had ever seen. And yet, the subways have come back — quicker than almost anyone could have imagined. Less than three days after the storm hit, partial subway service was restored. Most major lines were back within a week. Repairs came so quickly in some cases that the authority was ready before Consolidated Edison had restored power.